These useful "frames" work with our pirate theme and could be used for writing activities - but also for notices, pirate party signs or thank you notes, drawing frames and more. They all come with either handwriting lines or normal lines, blank or half and half. Well blow me down! This colourful pirate doodle frame is bound to inspire all the young pirates to put pen to paper and create some fantastic drawings and stories! 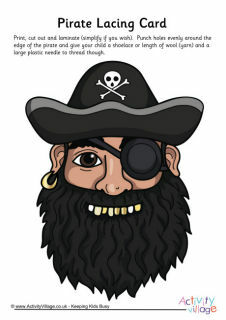 We think this lovely pirate doodle frame will inspire the kids to do some great pirate-themed work. Ahoy there shipmates! This landscape version of our pirate frame is perfect for all your pirate topic work. We've got four versions to choose from: blank, lined, handwriting lines and story paper. Yo ho ho me hearties! Our pirate frame is perfect for pictures of seadogs, trusty pirate ships, and for writing stories of adventures on the seven seas! Click below to choose from blank, handwriting, lined or story paper versions. Here's a landscape version of our versatile star frame. We have four versions to choose from: blank, lined, handwriting lines and a story paper version with space for a picture and some writing. There are so many uses for this lovely star frame - draw a picture inside it, write a letter or a report, or write a story? Or teachers could even use it for 'Star of the week' certificates? Well, shiver me timbers!! We have four different versions of this treasure map frame, ready to use in all your pirate activities and topic work!